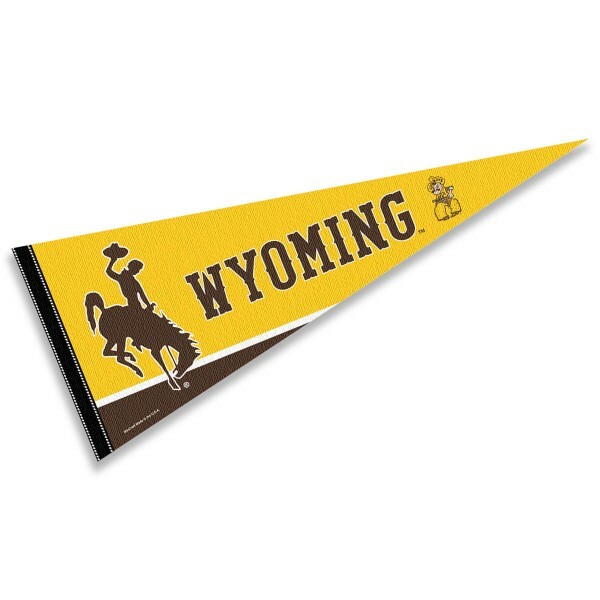 Our Wyoming Cowboys Pennant is perfect for showing your college team allegiance in any room of the house. 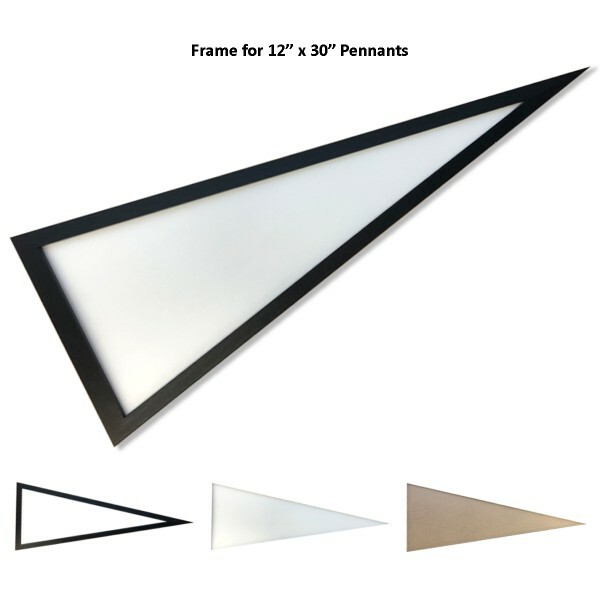 The Wyoming Cowboys Pennant is full size (12x30 inches) and is single-sided screen printed with the officially licensed NCAA school logo or insignia as shown. 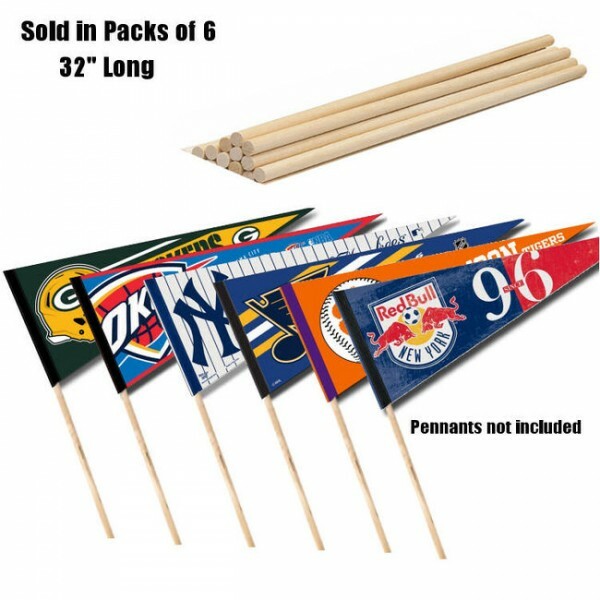 Our college pennants are made of felt and provide a pennant sleeve for insertion of a pennant stick, if desired.